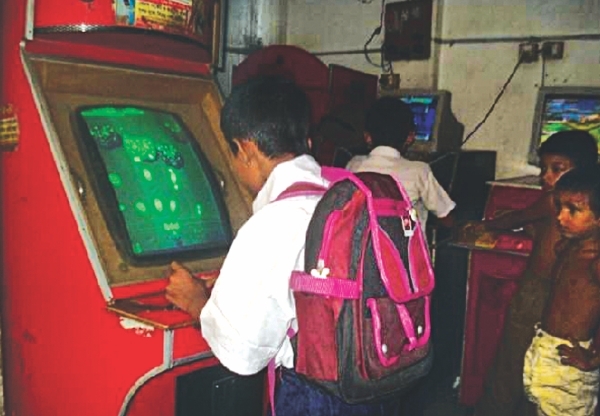 School bunking, inattentive behaviour during classes, avoiding showing exam scripts, are probably few of the things that parents and teachers complain about their school/college going children. With so many options to choose from--drugs, internet, cell phones-- students now have many reasons to not find school interesting and lose their concentration in studies. According to a United Nations report, “… juvenile delinquency encompasses all public wrongs committed by young people between the ages of 12 and 20.” Alarming as it may sound, such facts are sure to leave parents thinking, “Is my child involved in any unsound activity?” “Is he/she misusing the time in the name of education?” As a preventive measure, schools are now taking up a technology, named Edu-Smart, to relieve parents of their concerns and help them remain informed about their children and their progress, regularly. Edu-Smart is a tool that enhances communication between the students' parents and the school/teachers and provides transparency in academic progress reporting. Classroom learning can now be reinforced by remote access to related content, making the work of the school/ college administrators much easier. With its unique information technology services, Edu-Smart helps institutions manage the entire academic and administrative system better. Edu-Smart comes in three different packages: Basic, Premium and Standard. While the Basic package manages student profiles, student and employee attendance, directory service, etc the other two manage examinations, alumni, fees payment notification, branch managements and many more. Edu-Smart provides multidimensional communication channels including email, website, mobile, SMS, monthly report and news letter, call centre and mobile application. Through text messages, parents are informed about important notices. Using Edu-Smart services, the activity of an institution will enhance and speed up, benefiting teachers, students, parents and management. Edu-Smart works very simply yet efficiently. Through Edu-Smart, parents will now be aware of their children's whereabouts at school, instead of waiting for the parents-teachers meetings. 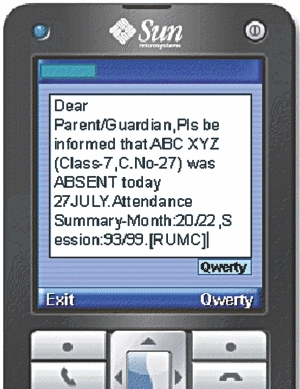 Parents will be sent an alert through SMS, email or website in case their children are absent or late for school. Transparency of all assessments is ensured by informing parents at a regular interval by SMS, email and monthly printed report. Parents will also be updated about dues and status of monthly and yearly fees, reports of students' overall academic performance and extracurricular activity. Edu-Smart ensures the availability of all relevant and necessary information, organised and easily accessible to all concerned, helping the management in decision making and in their drive for attaining better performance and efficiency. Teachers will now be able to spend more time in classrooms rather than investing their time in the routine paperwork. Teachers are faced with a heap of hurdles while preparing the students' annual report cards. But with Edu-Smart, all that the teachers need to do is provide the necessary inputs and the software will prepare the report cards along with nine other reports. At present, renowned schools of Dhaka like RAJUK Uttara Model College (RUMC), Wills Little Flower, Milestone School and College, Pledge Harbour School and Sports Academy and many more are facilitated with this service. Under the unique service model, Edu-Smart will supply all necessary technical support and infrastructure. For necessary data entry service, a data management executive will also be appointed for the institution by Edu-Smart. Ehsan Sarwar Chowdhury, Head of Sales and Business Development, says, “We are not selling the software, but the service. To free the institutions of the pressure of updating the information on Edu-Smart, our executives at the respective institutions run the service, and all of these are free of cost.” True, institutions are not charged a single penny to install and experience the services of Edu-Smart. However, parents who use this service have to pay an affordable sum of Taka 30-250 per month. The monthly subscription fee for a particular school is decided on a number of factors including, the number of branches the school has, number of students and the modules availed by the school. “We are both working parents and in the midst of our business we sometimes fail to stay updated about our son's progress at school or the important announcements. Having heard about Edu-Smart, I feel it will be a great help for parents like us because it helps bridging the communication gap between the parents and schools and keep us well informed,” says Farhana Selim, mother of a Class 3 student in Dhaka. Surely, Edu-Smart is a real solution for parents and institutions, working for the betterment of the students and their future.